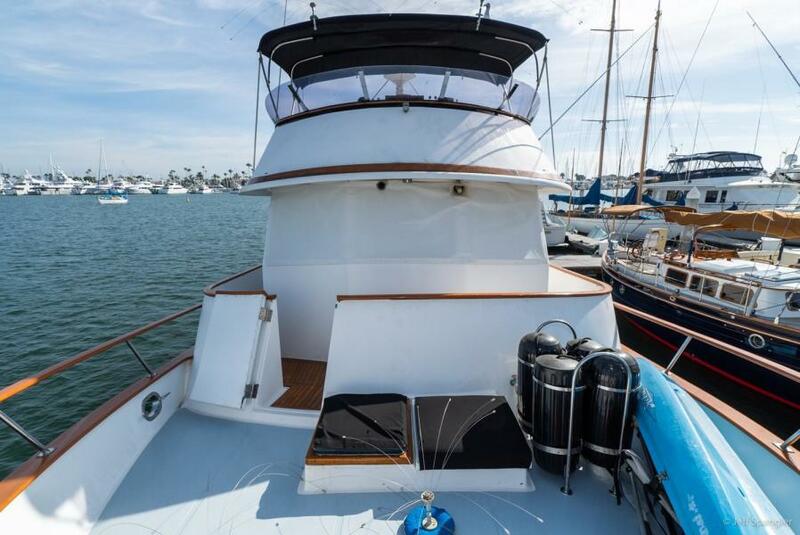 The 49’ De Fever Raised Pilothouse (CTF) has long been the quintessential power-boat cruisers answer to safe passage making on the Pacific Coast. Her notably proud bow along with her Portuguese bridge; wide covered side-decks has provided cruisers for decades the comfort and security of having a vessel designed for the rigors of the Pacific Ocean. 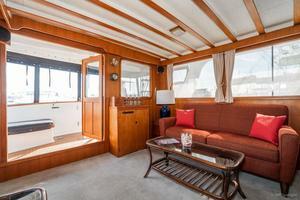 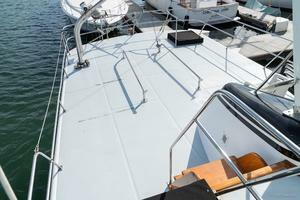 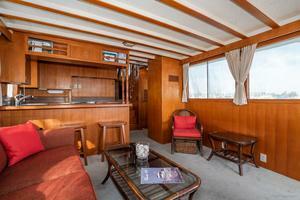 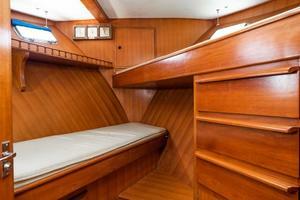 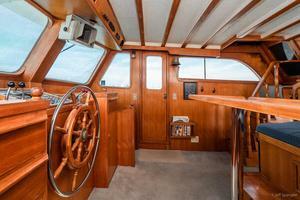 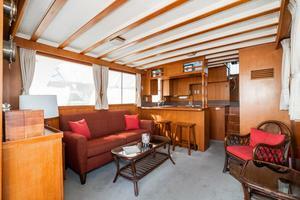 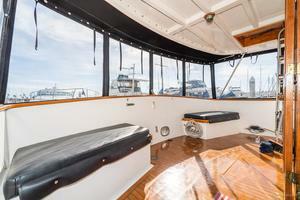 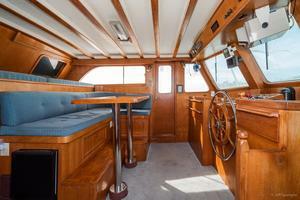 Her aft covered teak deck is a welcome spot to relax and enjoy the passing seascape or maybe a nice "al fresco dining". 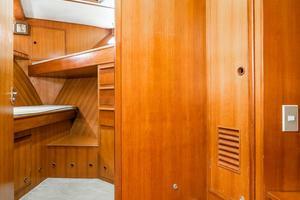 Entering the vessel from the aft deck through the double teak doors to a spacious salon that is both warm and inviting, complimented with rich teak woods and parquet flooring, an abundance of natural light through large opening windows provides a feel of openness. 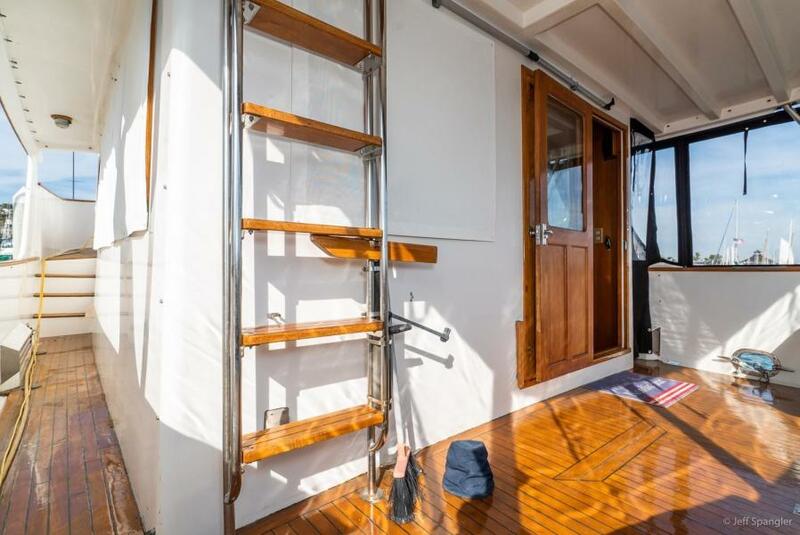 This builder decided to make some changes from the typical interior while he was back at the factory overseeing the build process, one was to eliminate the standard built-in furniture allowing a new owner the ability to decide how he would like the salon to feel and be used. 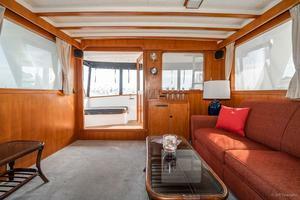 Currently there is a large coffee table and small side-table along with a liquor teak cabinet in the salon and a new couch – but a new owner has the ability with this open arrangement to decorate to his or her own taste. 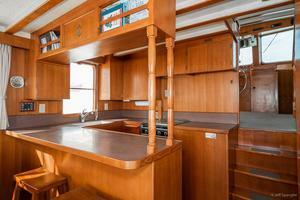 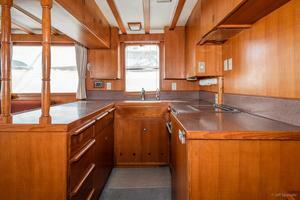 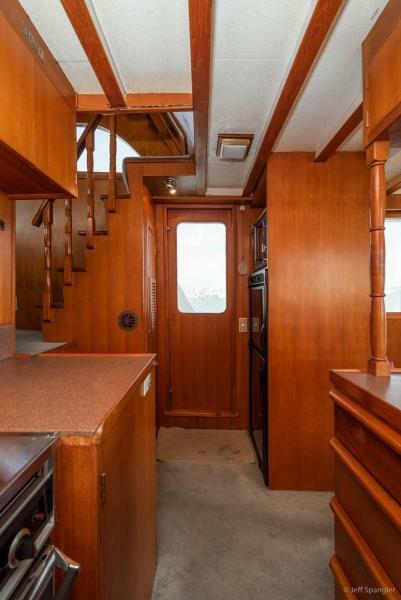 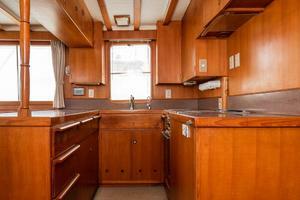 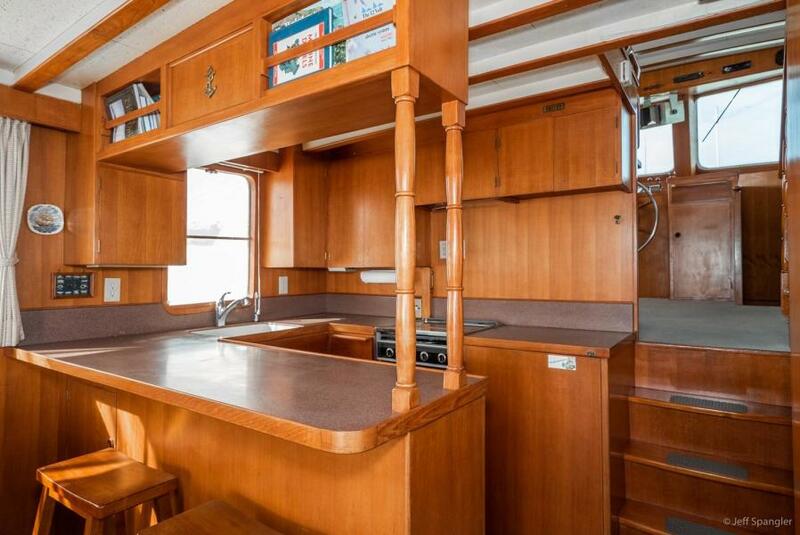 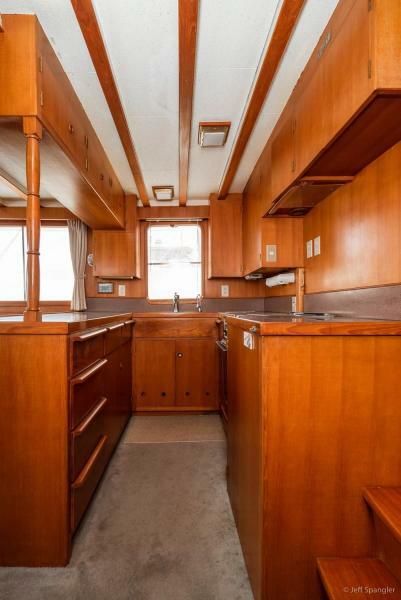 The galley is on port in the typical U-shape configuration, with an abundance of counter space for preparing meals at the dock or underway. 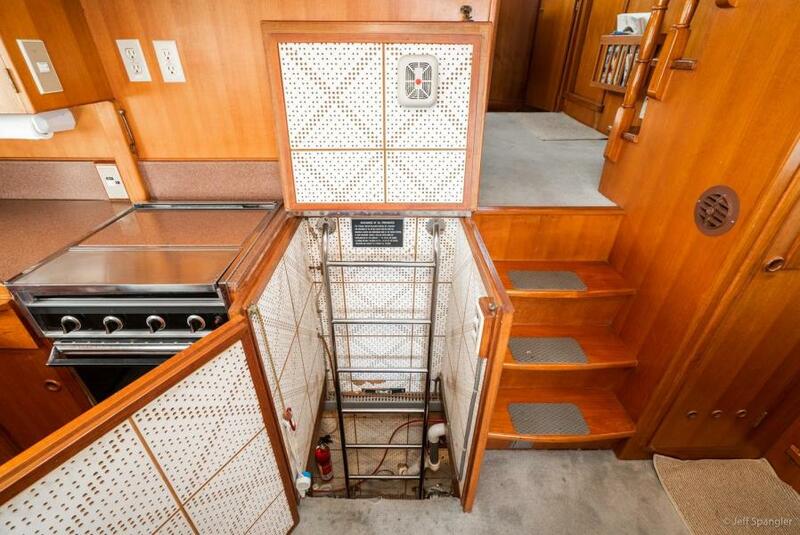 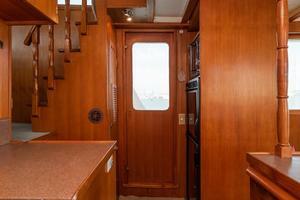 There is a convenient large pantry on the starboard side forward of the refrigerator. 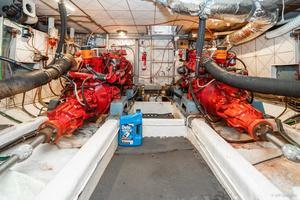 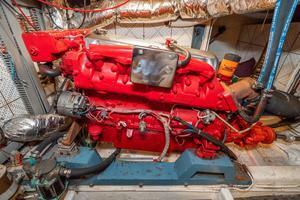 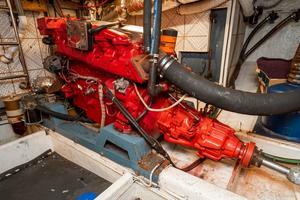 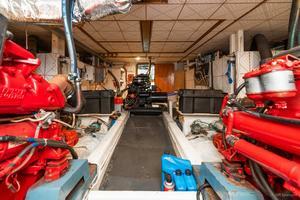 This location also houses the propane heating system for the boat. 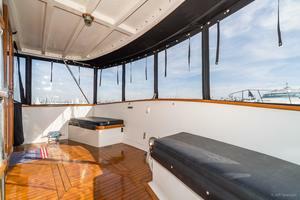 Moving forward up three stairs to the heart of any serious cruising vessel – the pilothouse, well positioned forward providing excellent visibility and plenty of room for guests. This is a great location to enjoy a cup of coffee when making those early morning crossings or when the weather is less than desirable to be up on the flybridge. 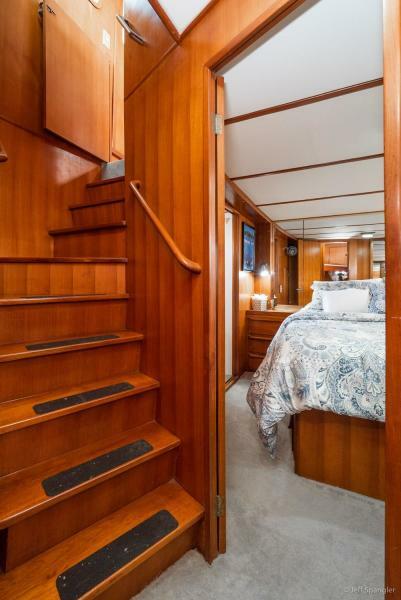 There is easy egress to the side bridge deck and Portuguese bridge area via port and starboard doors and convenient access to the flybridge via an interior staircase. 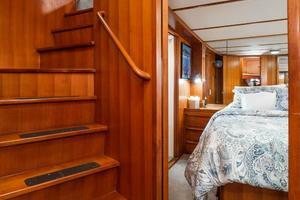 The sleeping accommodations are accessed from the pilot house via a curved stairwell when it is time to retire. 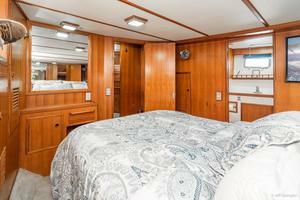 The master stateroom is midship and takes advantage of the full beam of the vessel. 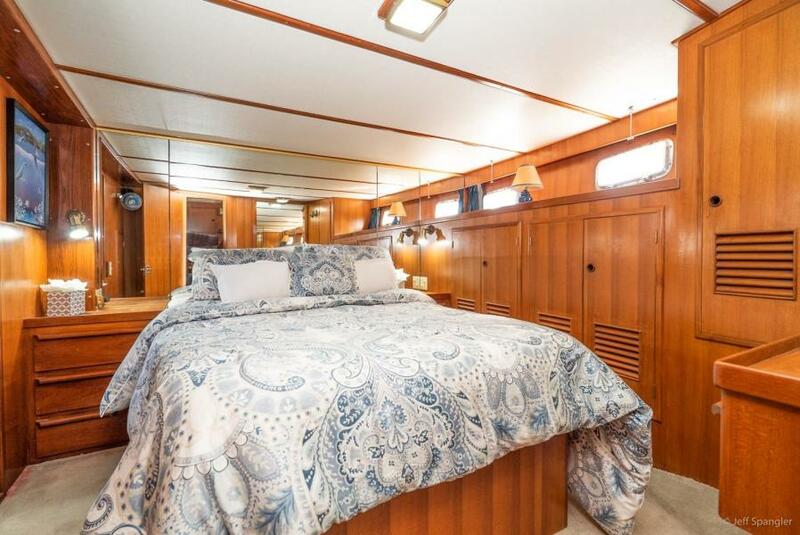 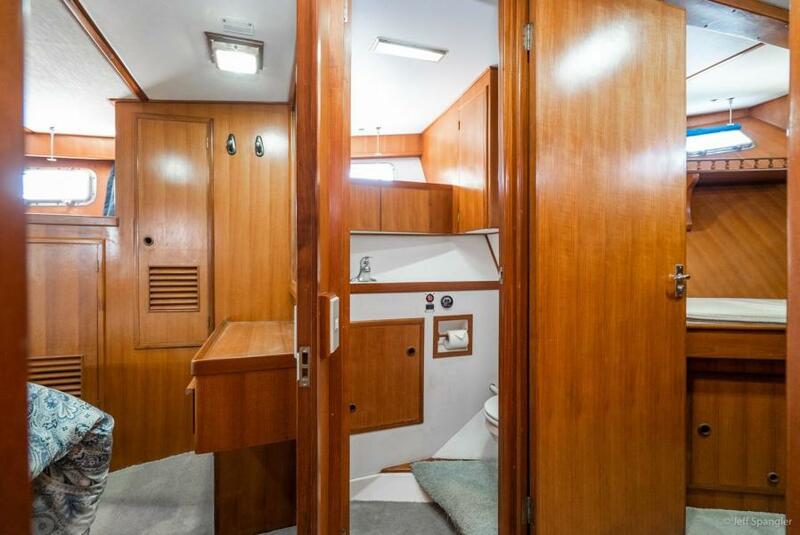 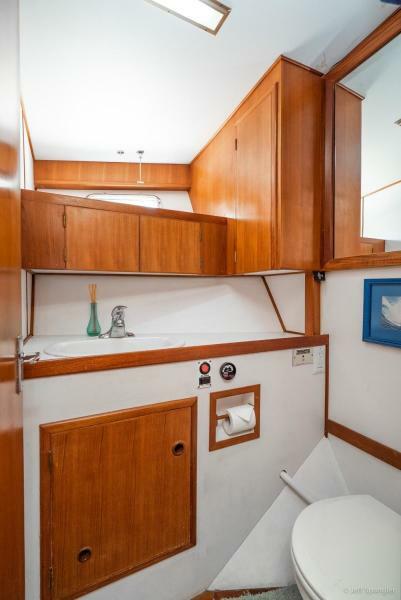 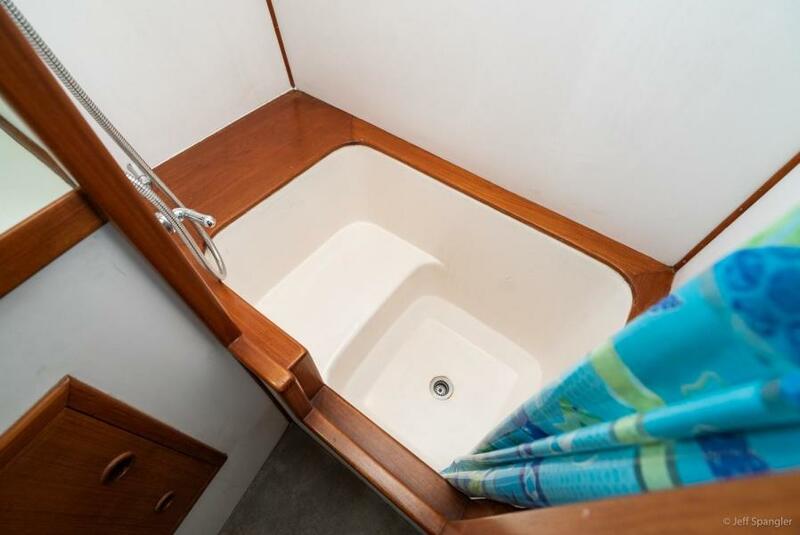 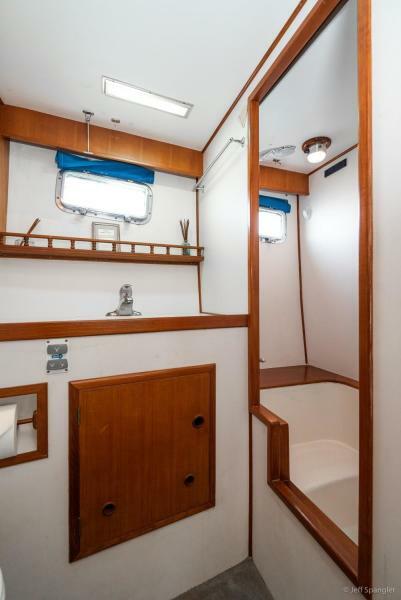 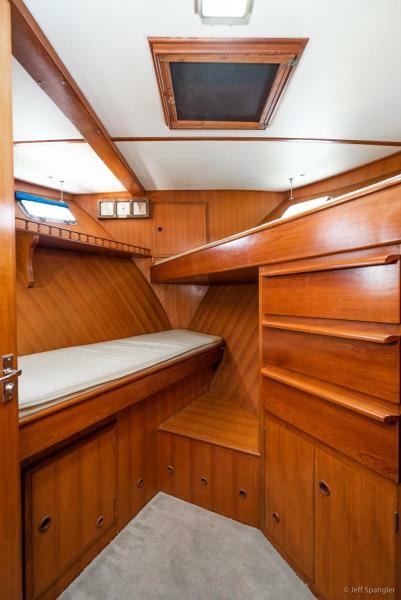 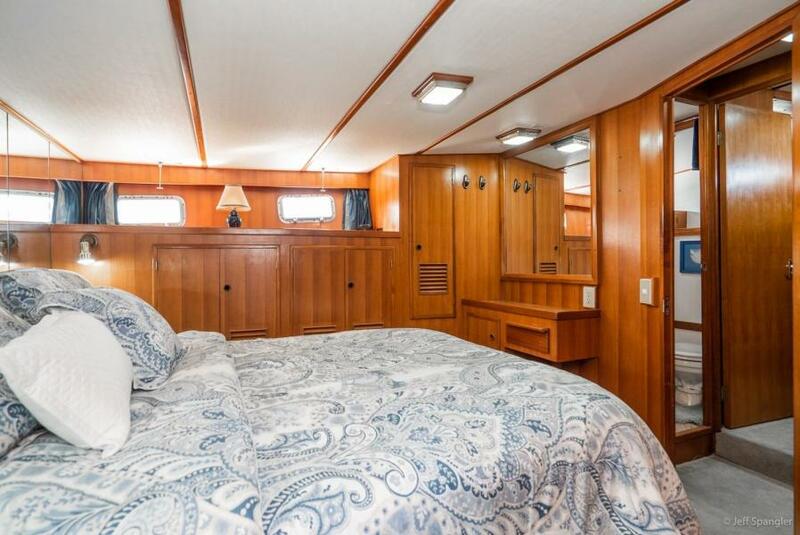 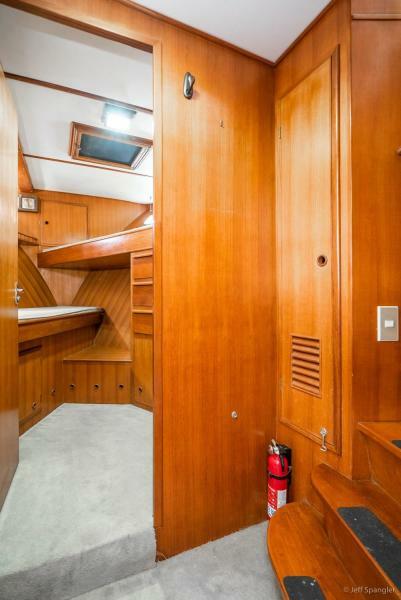 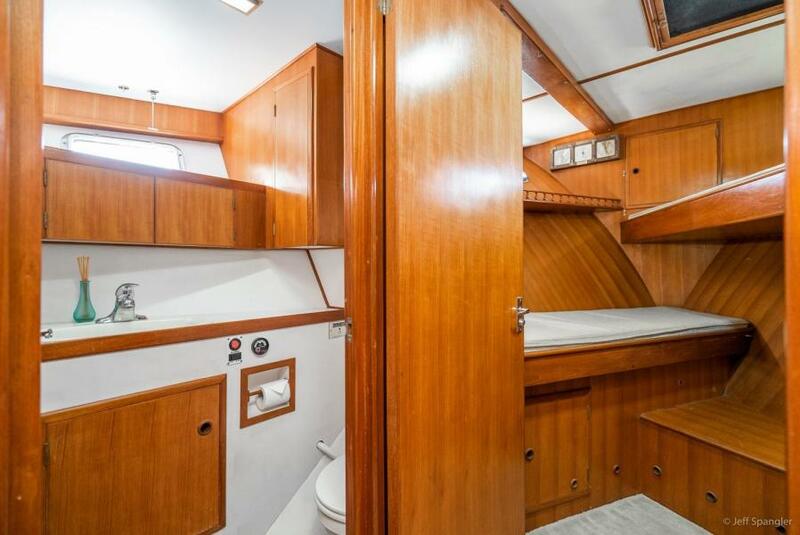 Queen size walk-around berth with an abundance of hanging and drawer storage; the ensuite master head is located on the starboard side with head, separate stall tub/shower, basin and sink. 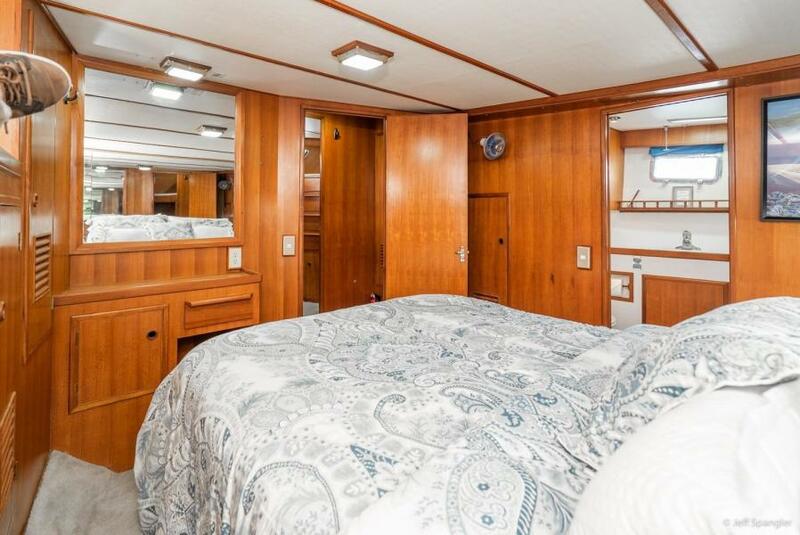 Both the stateroom and head have two large opening stainless steel ports that provide a great deal of natural ventilation and light. 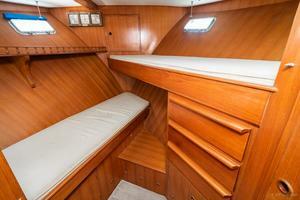 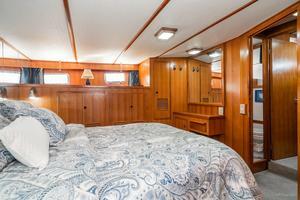 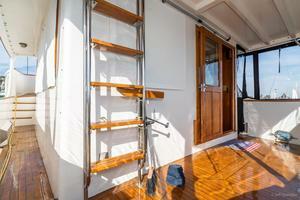 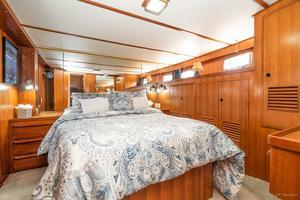 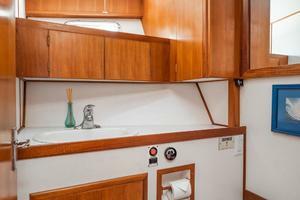 The guest stateroom is located in the bow and has over and under 7'04" berths and a hanging locker and drawer storage. 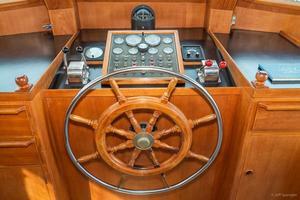 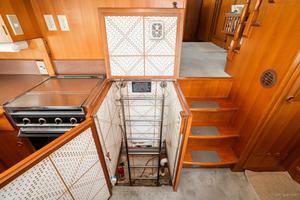 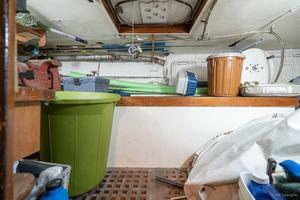 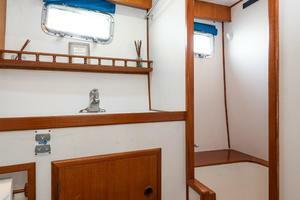 The guest head is accessed from the companionway and also has a head, basin, sink and shower. 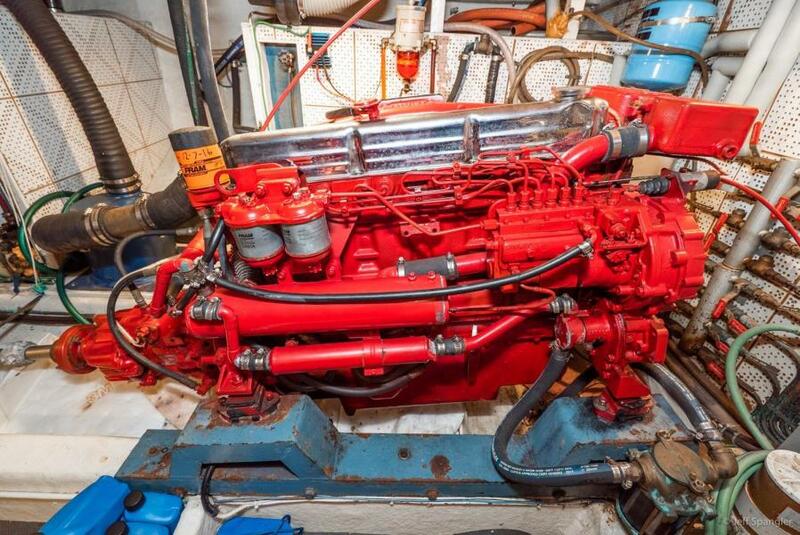 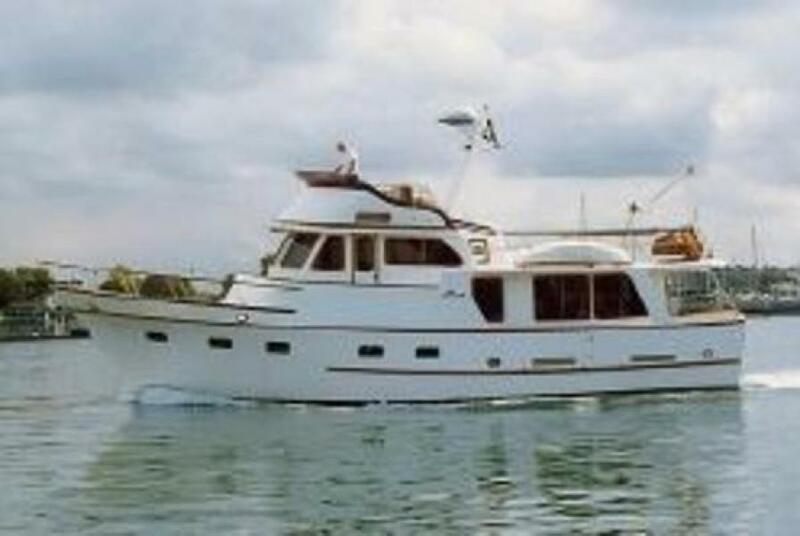 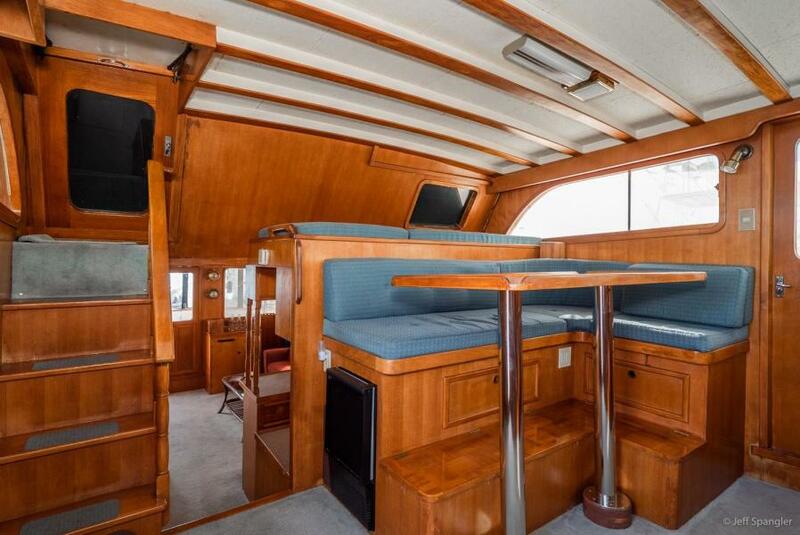 West Florida Yachts would love to guide you through a personal showing of this 49' DeFever 49 Pilothouse 1984. 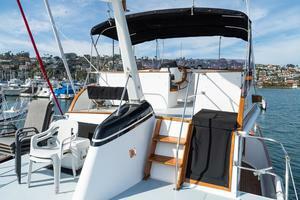 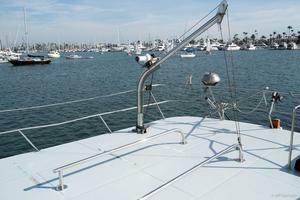 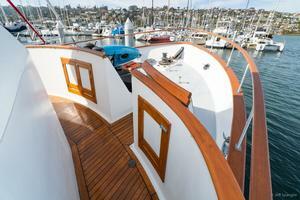 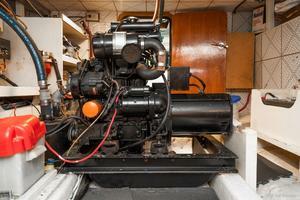 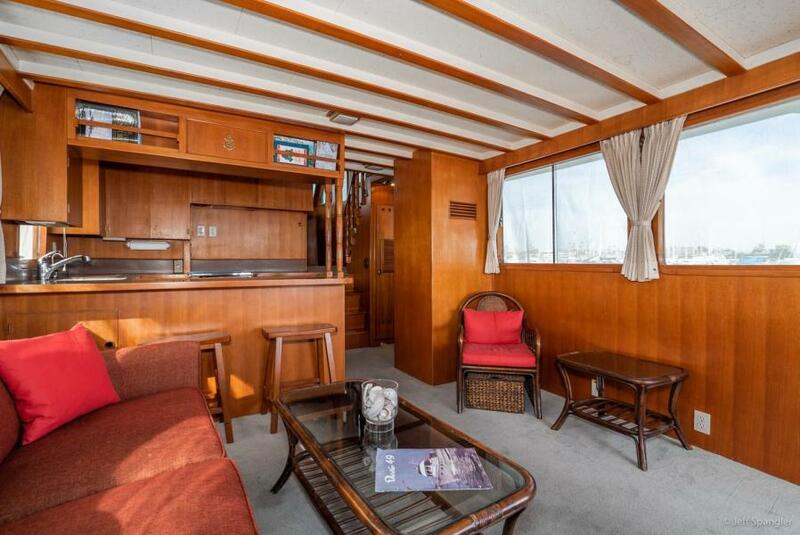 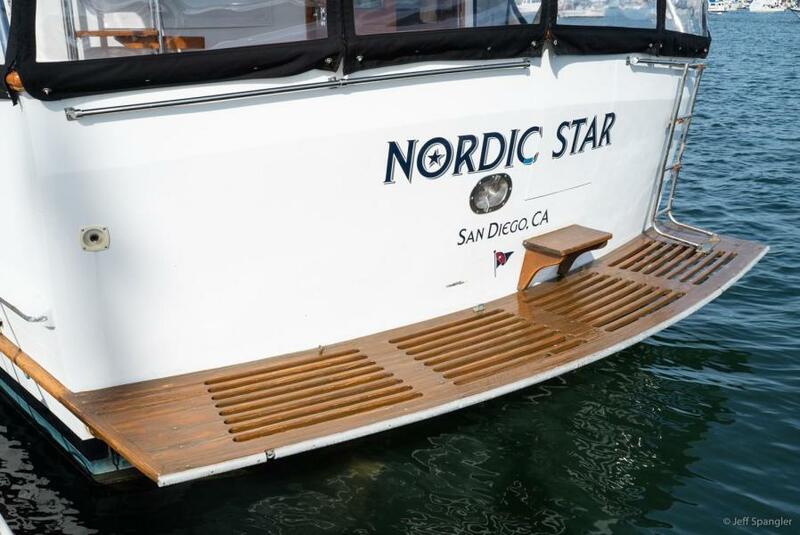 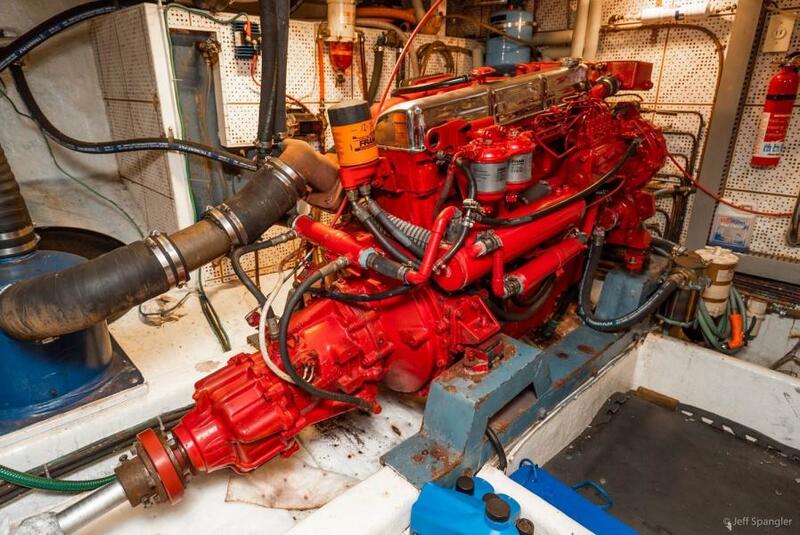 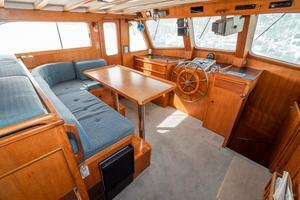 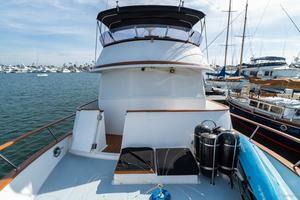 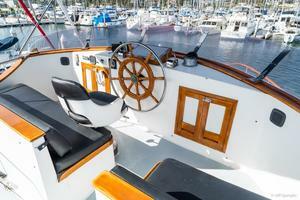 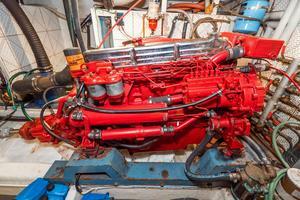 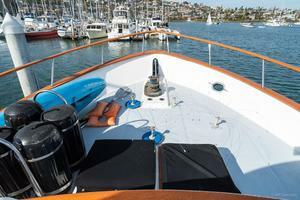 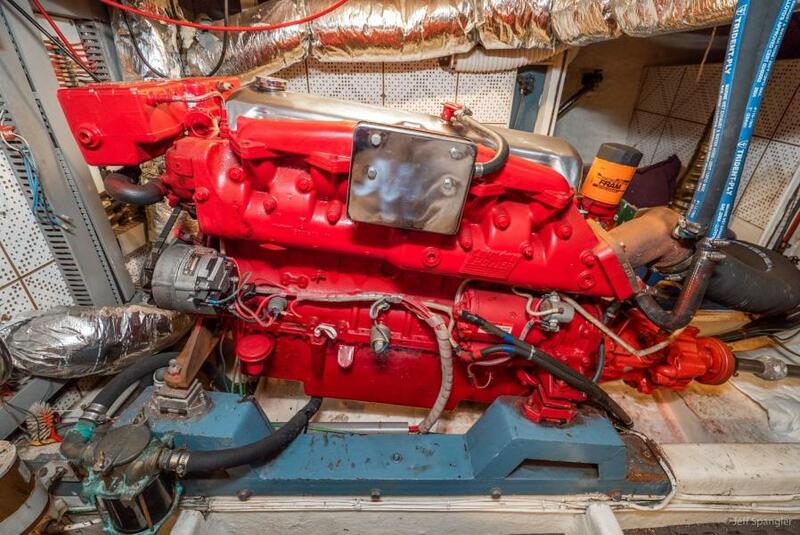 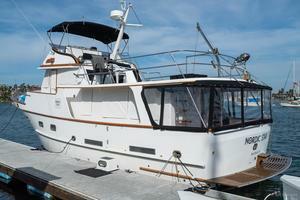 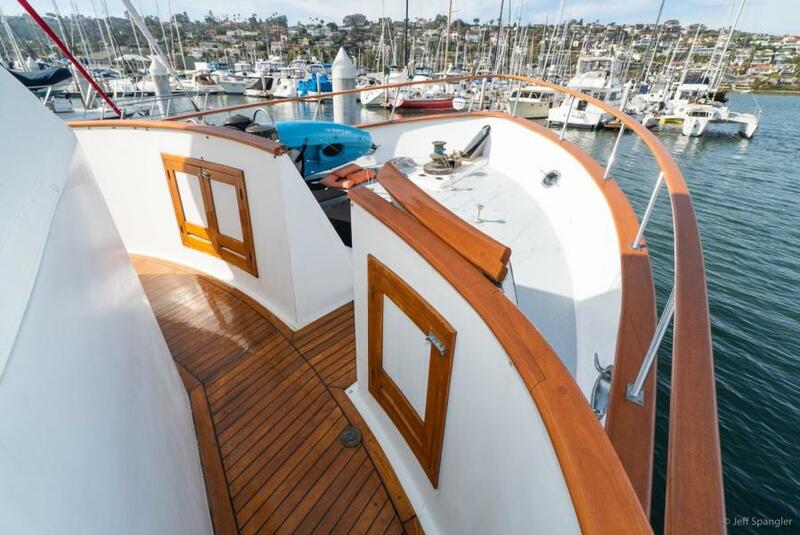 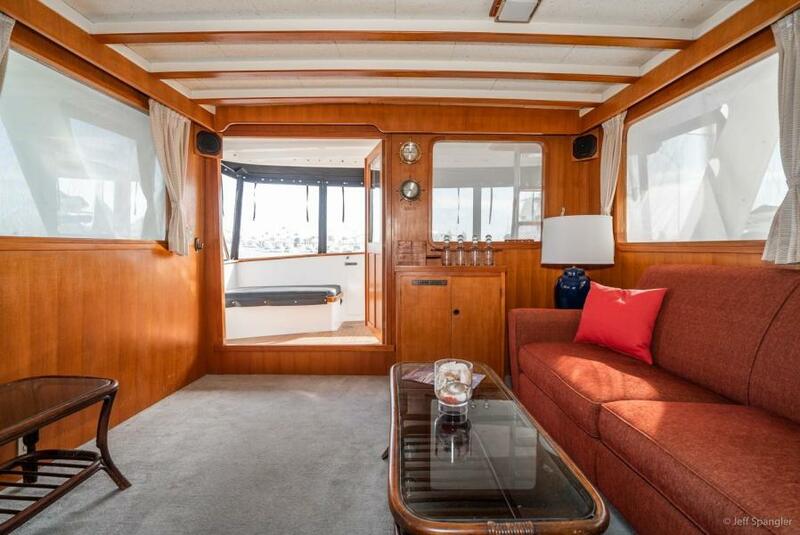 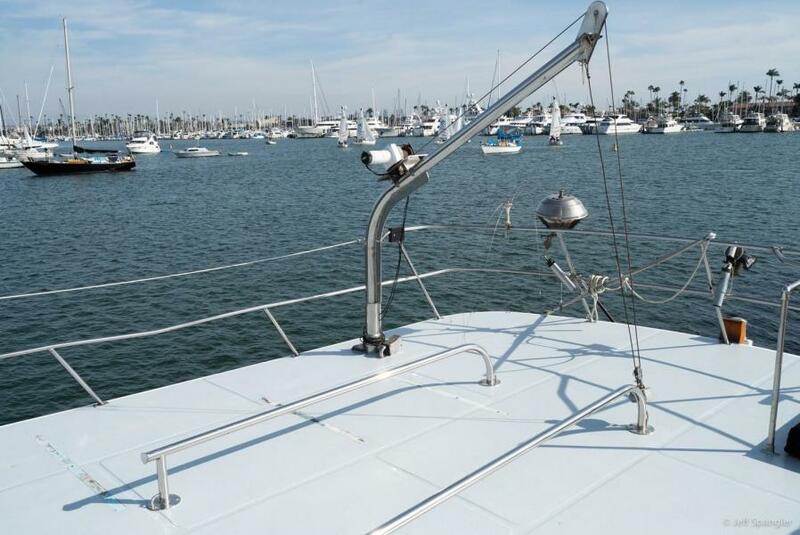 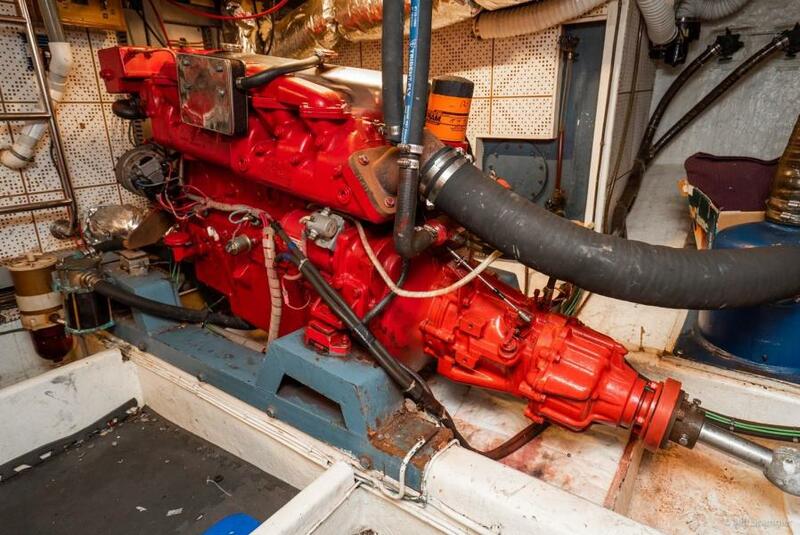 This yacht for sale is located in San Diego, California and priced at $199,000. For a showing please contact us by filling out the form on this page and we will get back to you shortly!